Continuing a nine-year tradition, Leesburg Police Department employees have donated money to help provide holiday meals to families involved in INMED/Mothernet Loudoun. The nonprofit provides prenatal care and other support for mothers and children in families where child health, development and safety are at risk. 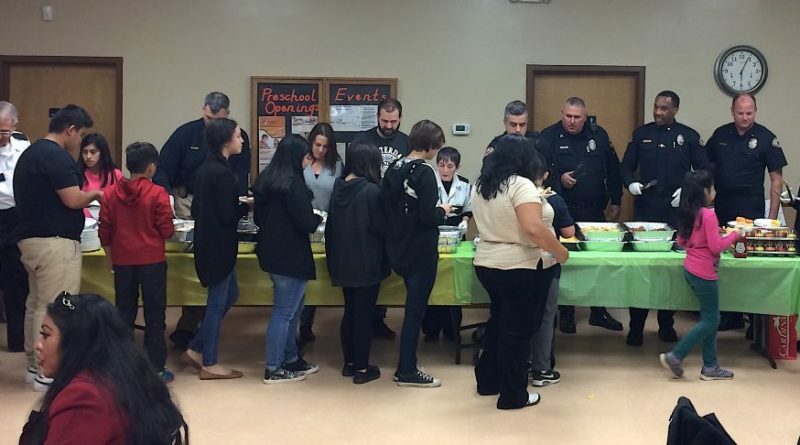 The department began donating to the holiday program in 2007 and since 2009 have partnered with Spanky’s Shenanigans owner Azmi Zarou to prepare the meals.